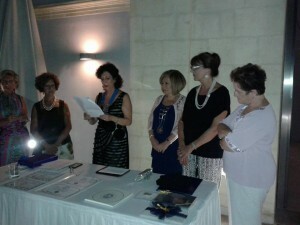 On 5th September 2015, Soroptimist International Malta signed the friendship link with the ‎Soroptimist Club of Enna‬ on the magnificent terrace of Palazzo De Piro in Mdina. 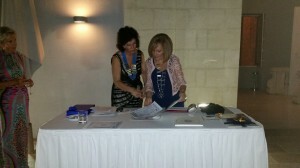 Here is a photo of our president MaryRose Bonello with Enna president Dr. Angela Carolina Rocca signing the official documents. Our first earmarked project is a youth exchange starting in April 2016. 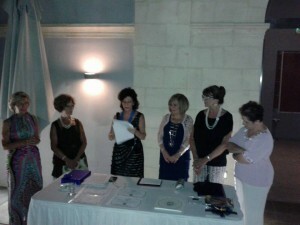 After the speeches, we all enjoyed a lovely dinner while overlooking the beautiful view from Mdina.